Gingerbread men have gone crazy. They are trying to eat you! Your mission is to survive as long as possible. 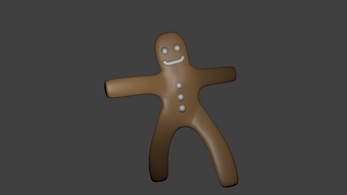 OSX: Download, unzip, run "GingerbreadCannibals.app". Windows: Download, unzip, run "GingerbreadCannibals.exe".